Sometimes you gotta do something over the top and my housemate is an awesome partner in crime with it comes to working out those M-Stew tendencies. We started with the idea of baking cookies for co workers as holiday gifts, a tin to take into the office, perhaps a few different kinds…And then we found this…. 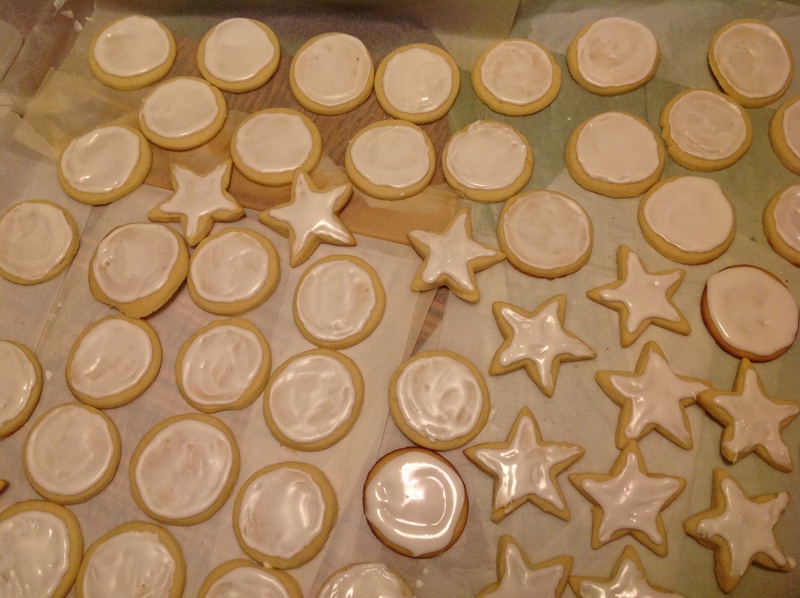 Which lead to the idea that we would bake a few dozen and individually package them…. All of this, hand painted cookies, individually stamped cards and singular gifts for close to 40 people resulted in a 2am cookie assembly line, but damn if it wasn’t worth it. What do you think?